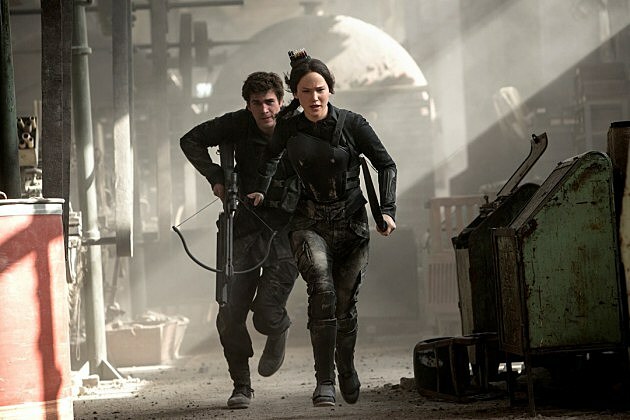 There‘s going to be a lot of blood and ink spilled across the internet on the subject of the opening weekend for ‘The Hunger Games: Mockingjay – Part 1.’ Yes, the third film in the series did open significantly lower than its predecessors. Yes, there are definitely people at Lionsgate wringing their hands and trying to figure out why the film opened below expectations. And yet, that opening weekend is still massive. It’s three day total is larger than most movies ever have a chance to make in their entire runs. So, let’s have some perspective as we dive into this week’s top 10. It was actually a fairly strong weekend all over the top 10. ‘Big Hero 6’ held onto second place, grossing $20 million for a $135 million total. At this rate, $200 million should happen, especially since so much of the direct competition is so un-family friendly. It’s no ‘Frozen.’ but even Disney knows that was a lightning in a bottle phenomenon. They’ll take this and be happy with it. In third place, ‘Interstellar’ continued doing solid business, making $15 million for a $120 million gross. Its path to $200 million isn’t a surefire thing quite yet, but it’s still a possibility. As long as it continues to play well in IMAX theaters, Christopher Nolan’s space epic should do okay in the end. But just how well? And it can it be considered a success if it doesn’t his $200 million?